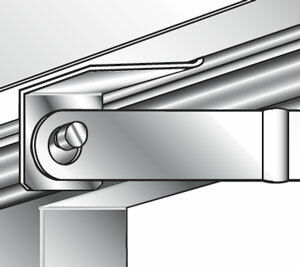 The standard fusible link will be supplied and rated at 72°C unless otherwise specified. 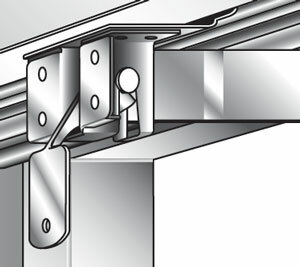 Providing a trigger operation feature, this self-locating and easily resettable cassette can be used with either the solenoid or electro-magnet controls - or, as a standard component to assist the engineer in the resetting of the fire damper during regular inspection and maintenance procedures. Where gate latches are fitted on dampers below 150mm in height or diameter release testing is only possible from opposite to ramp side. Please refer to our sales office. 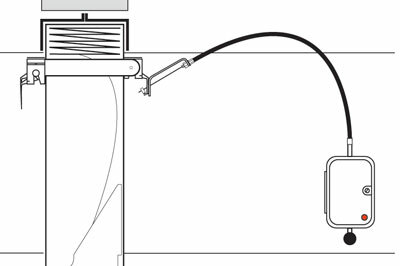 The illustration shows the electro-magnet control box mounted on the outside of the duct, with a Bowden Cable being fed through the duct to the trigger release mechanism ensuring that the curves of the cable are minimal.